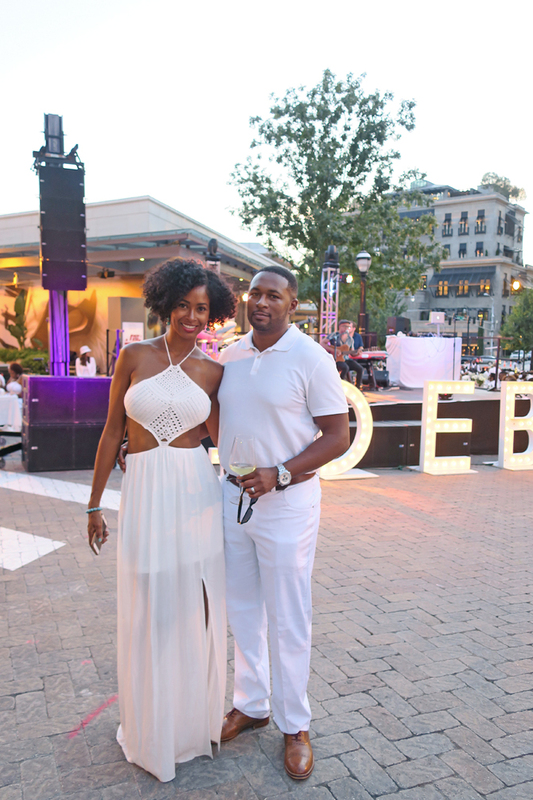 This past weekend, the hubs and I had the pleasure of attending "Diner en Blanc" here in Atlanta. 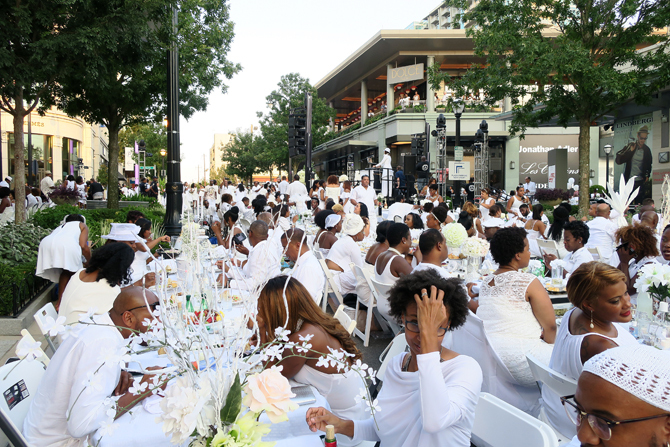 The event "Diner en Blanc" is an all white dinner party that happens in different cities all over the world. 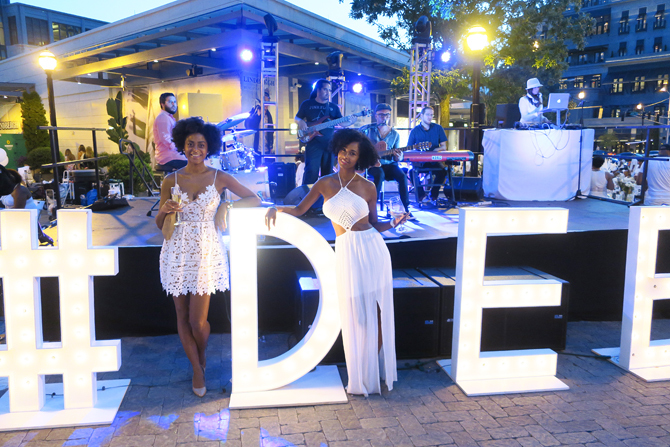 I won't go through the back story on it, and there is a back story...but all I can say is the night was magical! I have to admit, it is a hard ticket to get--but if you get the chance, you should definitely go if it makes it to your city! 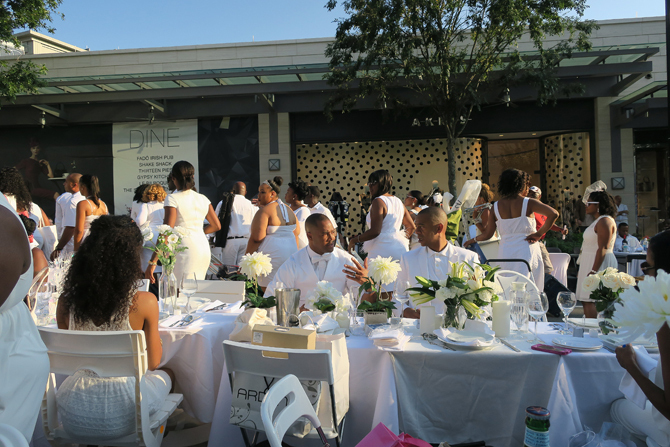 To read up on the history of "Diner en Blanc", go HERE. P.S. 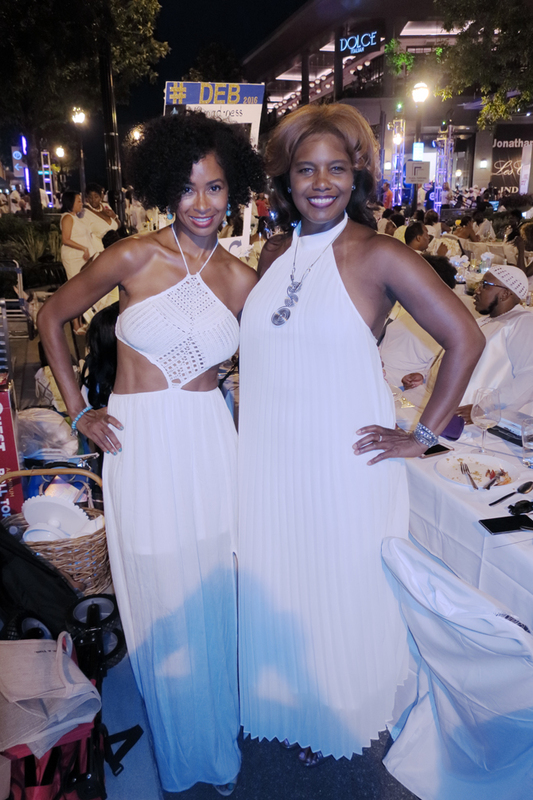 The dress I'm wearing, I'd bought over a year ago. 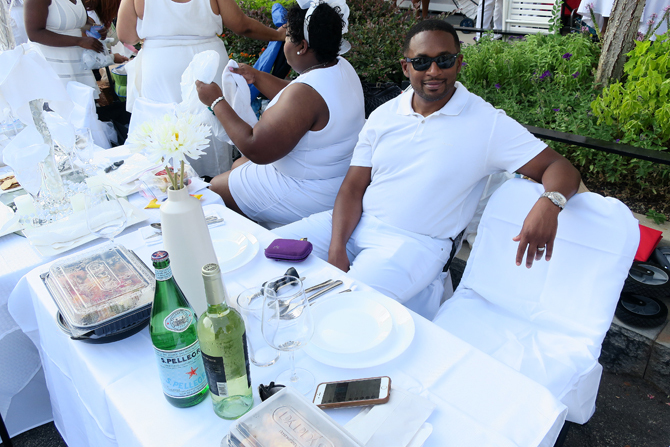 I just knew there would be some all white event that I'd be able to wear it to, and I couldn't have picked a better event! Unfortunately, it's sold out, but I've found an identical one in the color "slate" HERE.